Job Networking – How Networking helps to Find Employment? There are many surveys done which has boldly declared that many good jobs were got through ‘networking’. Almost everyone is connected with friends, or relatives or colleagues through so called `networks’. It consists of having a long term relationships or could be a newly established one. How did this get done? You know that networking is nothing more than getting to know people when you are able to strike a conversation with a person next to you in line, or when you meet parents of your child’s friend in school, or meet your former co-worker, or chat with your neighbor. The list of networks consists of friends, family, colleagues, teachers, vendors, supervisors, customers, subordinates and sometimes competitors. How can these people be of help in getting you a job or help to climb the ladder? Through networking, it is possible to override the direct application process. As good jobs are communicated through word of mouth, your past performances could be shared with the hiring personnel. Knowing about your attributes and qualities, he or she would directly refer you to the related or concerned against the job requirement. If you have proper networks they would recommend you or refer you for the post. Such references gives you an advantage of being interviewed and getting a job which would not have been possible through application process. This is mostly visible in first degree connections that is namely student-professor relationships, LinkedIn relationships, social or religious connections. Are you in habit of helping others in your network? Do you go out of way to search an information or guide them? Then you have 80% chance of getting a good reference about you. Knowing about you or requirement they would arrange for a meeting with the hiring manager or handover your resume to the related department explaining about your qualities. Here your relentless networking comes to help. So don’t drive away your potential allies instead keep your network alive and going. Get some time off with them and see how it works wonders. If you have a mind-set to help others then you will not misinterpret the purpose of networking. Are you an introvert? Do you keep aside from all social events and other gatherings? Afraid of meeting people? Such people do not like to come out of their comfort zone as they have fear of making mistakes while talking. By keeping your mind relaxed saying that they are also human beings you will tend to overcome the fear of speaking. Be bold and speak to your network without fear. If your network is truly concerned about you then surely they would not mock at you for your errors. In fact they would be ready to correct you and help you out with training or classes and for getting ahead. It won’t be of use when you are not really ‘connected ‘with your network. At certain stages in our career paths, our networks expand and some collapse. Depending on the way we handle the network, we are sure to be connected. It could be sharing important information or wishing them on their anniversaries or birthdays. Being connected means a lot, as people are not geographically situated close to each other nor can we see them often. But keeping updated with your network regularly and allowing to spend some time listening to them is also one way to stay connected. You may not need to get any help but still pop in and wish them. It often helps one to get the stress off while searching for job. Moreover, the intimate connection would allow the other person to guide you to land a job as you could get connected with a friend of a friend or friend of your relative or hiring manager of your co-workers company. Networking is usually forged when the interests between you and the others are the same. The relationship develops during course of time when the interests or career goals are almost similar. It could be that your thought waves merge with the other side. Whichever way it is taken, the networks who share similar interests would definitely help you find employment. As people with similar goals have a tendency to feel more comfortable with like minded, it usually brings out the best. Hence, try to maintain those relations. By surfing the web, it is not possible to get the right information about the company. Networking helps one not only to know about the company but also about careers that may be lurking inside for future. Prospects would be better when the information is given direct from the inside rather than rumours or through company literature. This stands for people who want to switch industries so that you could conduct informational interviews to know what’s going on in your field of interest. Due course of conversation, you will develop a broader perspective beyond your friends and office mates. Most of the time networking involves connecting through social websites be in Facebook or LinkedIn. By using appropriate words and being specific to the context will make you be better identified. It will give due respect for your attitude and nature. Here no one will know the tone of the voice. Another important point to note is to avoid using cold hearted words. Generally face to face conversation may seem difficult to continue when the matter is dry, but online conversations don’t matter and vanishes. These conversations would seem important when you are to join a group and participate in discussions. The intellectual part of you would be portrayed and help in defining your character. Based on your language or the words you use, you would be given a helping hand in getting to the job or to climb the ladder. When we say networking, the first thing that comes to our mind is Facebook and LinkedIn. You would need to concentrate on where the professionals converge especially discussion boards, mailing lists. By having connections or joining the discussion boards that is of your area of interest you need to be careful in updating yourself about the information. From the way you put forth your discussion you would be judged about the level of experience or depth of knowledge you have. It’s an opportunity for the people in that network to know about your skill without having met you. Occasionally, discussion boards do convey open vacancies and allow the participants to be called for interview. You get a friend request and you are not sure. You want to enter the group and don’t know whom to connect with. In case you are considering social network, then connecting within your ‘known’ limit is best. It could be former schoolmates, former college mates, or former members of company, or same association. If its discussion board or mailing list, then review the contents of the postings. Find out which one is knowledgeable and try to establish connection with them. Once you have identified, then try to send a personal message not a public message. Prepare the message to be brief, clear, concise and to the context. The content should relate as to why you are contacting them and ask for some career advice as well. To keep the contact alive, you could request for follow up email or phone call. Every relationship is good only when it is maintained with proper balance in it. If you want others to treat you well, then you need to be cautious in your approach as well. The same stands for online too. Hence before entering a group do review the rules and their behaviour to follow them. Have an insight into the questions asked so that you don’t ask the same. Moreover, get clarity on the language, culture of the groups. Never post your resume in such groups as it will tarnish your reputation. You could introduce known people to your network. Also returning every favour is another way of maintaining your reputation. Mutual beneficial relationships are established only when your reputation is good. Reputation is maintained when you reciprocate back. 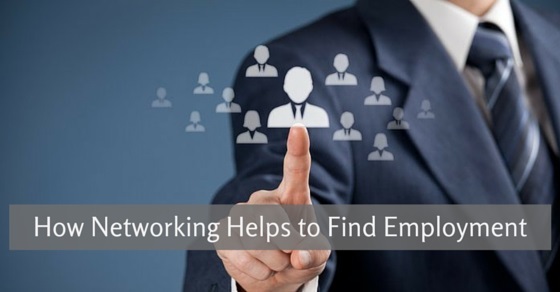 So you can see that some of the factors that is essential for networking, helps one to seek a lot of information, seek career advice and mostly help land in a job. As it is seen, everything surrounds the core of your attitude and nature. If you don’t have some of those qualities then you would need to evaluate yourself and try to absorb them. Networking is essential for gaining knowledge and also helping you to know about career related aspects. So keep your networking abilities refreshed and workout the solutions.